If one ever completely screws up his or her life and wants “redemption”, there are two courses of action. The first is a name change, with the hope that no one notices the sordid past. Don’t laugh, the technique worked for ValuJet. In 1996, the airline crashed into an alligator-infested swamp, changed its name to AirTran – and presto – it was like the disaster never happened. If this fails, just embrace Option 2: become a born-again Christian fundamentalist. Who cares how many people you have screwed – the flaky flock will love you! How about the innocent victims you’ve whacked? No problem — they’ll still want you back! Time and again, fundamentalists buy the fantasy that the world’s worst reprobates can fundamentally change. It never seems to occur to these credulous Christians that perhaps they are being had by the unusually bad. Of course, I’m not saying that people are incapable of transforming their lives. Each day, individuals make choices to better themselves. However, the eagerness and ease at which some Christians blindly accept total, comprehensive reinvention is disconcerting. They often seem so anxious to show that Jesus has special powers, that they’d probably confuse a miracle with Miracle Whip if it fit their agenda. 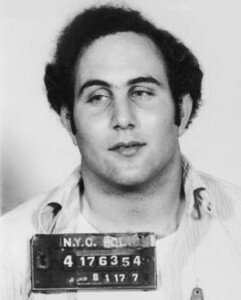 The latest lunacy involves the alleged conversion of David Berkowitz, who is better known as “The Son of Sam”. In 1977, Berkowitz was arrested for using a .44 caliber pistol to kill 6 people and wound 7 more in New York City. The psychopath apparently took orders from a demonic black Labrador retriever owned by a neighbor. Even with a disturbing past worthy of a Stephen King novel, The New York Times reports this week that gullible evangelicals have lined up to declare the Son of Sam a new man. 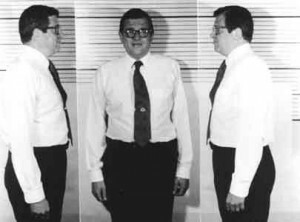 Just as Focus on the Family embraced convicted Watergate felon Chuck Colson after he found God, they are playing a leading role in rehabilitating the image of Berkowitz. According to the Times article, the Son of Sam’s extreme makeover started in 2003 after Focus on the Family interviewed him on its radio show. The sympathetic segment centered on his difficult childhood, the shooting spree and his conversion to Christianity. This interview was aired in 2,000 U.S. outlets and in more than 50 countries. In other words, the man who took so many lives now has a new lease on life, thanks to these wide-eyed saps. 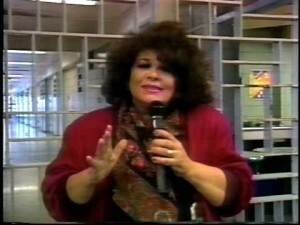 He’s even a mini-celeb in some evangelical circles, and regularly corresponds with big-haired Christian television host RoxAnne Tauriello. Fortunately, not everyone is buying the fairytale of transformation. Sure, reading the Bible might help some people give up booze or treat their neighbor a bit kinder. But, one has to be a total sucker to believe that religion can fix a man who ruthlessly murders people at the behest of a satanic canine. Psychological problems of this magnitude run much deeper — and unless Jesus Christ is a Harvard-trained psychiatrist, he isn’t going to magically fix the Son of Sam. Thanks to the slick, if not sick, public relations efforts by Sam’s fundamentalist fans, the murderer now has his own little kingdom. His followers have set up a fancy website featuring an array of DVD’s, CDs’ and a book of his prison journals, “Son of Hope”. Who knew the whole “saved slasher” genre would be so popular? But, seriously, it is not coincidental that the same naive crowd that believes that people can “pray away the gay” also believes that the Son of Sam isn’t really the Son of Scam. I’ve lost count of the number of times I’ve witnessed evangelical rallies where the crowd appears to believe that the stereotypical homosexuals on stage have actually gone straight. Perhaps he can do all these neat little tricks. But, only fundamentalists swear that such superstitious magic actually happens on a regular basis. In their fascinating world, God is “healing” gay people by the thousands and Jesus is busy transforming David Berkowitz into a model citizen. I do understand that such notions are driven by faith – but there is a point where blind faith becomes banal foolishness.